Soon, you’ll be able to travel through time like Marty McFly—complete with plenty of Huey Lewis and the News—and go back to see the Hill Valley of the past. For an upcoming Back to the Future screening, scale replicas of Hill Valley and its different time periods are being constructed. This is heavy. 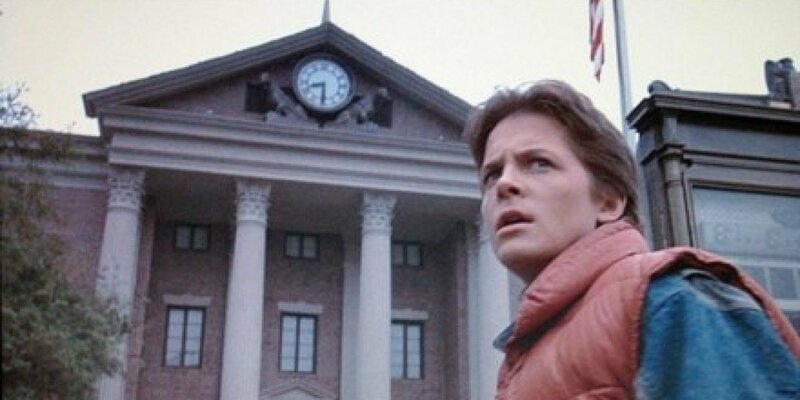 Of course, now that it’s almost 2015 (the year Marty travels to in the future, no matter what Photoshop has convinced you), 1985 is the past, so you’ll be able to travel back to that year and 1955 as they were portrayed in the movies. The whole thing will be put together by Secret Cinema, which is a British company that specializes in recreating fully immersive environments for movie screenings. We shall play heavily on the innocent dream-like world of 1955 and the nostalgic pre-mobile phone world of 1985. We want the audiences to forget their current world and take an adventure. A section of the audience shall play out the narrative of Marty McFly, being thrown into a time machine and transported into another existence and others will become part of the 1955 and 1985 world before. So, if you can get to London between July 24 and August 10, tickets (available today) for your flux capacitor-powered journey will set you back as much as about $90 per adult. It sounds well worth the money for Back to the Future fans, especially when you consider that the exchange rate between time periods is working in your favor—just be glad they’re not asking for 90 1985 dollars. After the screening, audience members will be invited to attend the Fish Enchantment Under the Sea Dance for an after party before they head back to the future. Rumor has it there’s even an alley somewhere in the town where you can catch a glimpse of Back to the Future‘s 2015, which is pretty different from our 2015—aside from the instant pizza thing. Good priorities, science. But can they recreate the physics of Marty McFly’s guitarsplosion?